Are you looking for a professional Resume Word Template? Download this professional Resume template today and instantly increase your chances to success! We provide a Professional Resume (aka Professional Resume or Professional CV*). In case you are seeking for employment, and you can allow yourself a more extravagant Resume, go ahead with this template. As all typical resumes, this Resume Template contains a summary of relevant job experience, education, training & participation, etc. We provide one sample professional template as a Word document (.DOC), which can be easily modified according to your wishes. 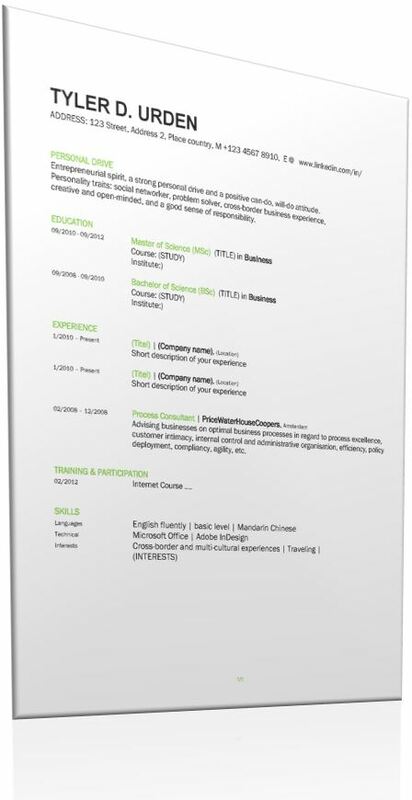 Download this professional Resume Template and instantly increase your chances to success!